Nicki just hopped on a brand new track with Big Sean, YG and 2 Chainz to get everybody ready for the Holiday weekend. 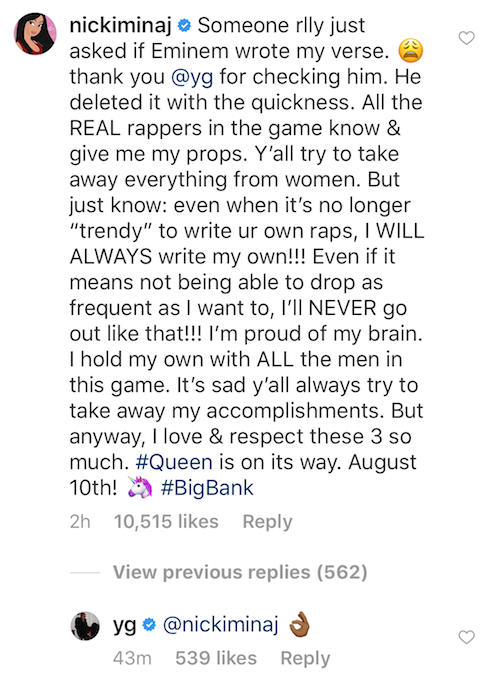 While her Barbs are soaking up her bars on "Big Bank," one had to ask her what she meant by one of her lyrics. She rapped about meeting Slim Shady - Eminem - and how since he's gone black he's never going back. Listen above. One of her followers asked if she and Em are dating, Nicki (likely sarcastically) responded "Yes." 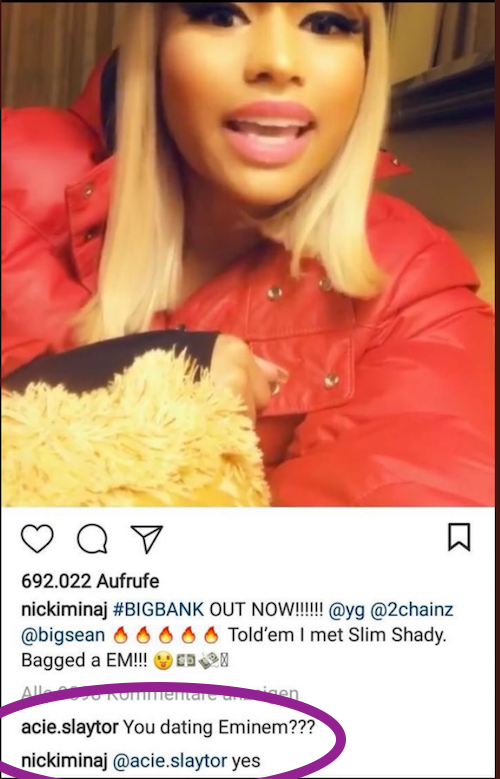 #NickiMinaj and #Eminem are out here trolling folks. We're almost positive they're joking. The two have appeared on a couple tracks togethe rover the years. But you never know. Most of us thought she wasn't really going to date Nas either. Then, bam. It happened.